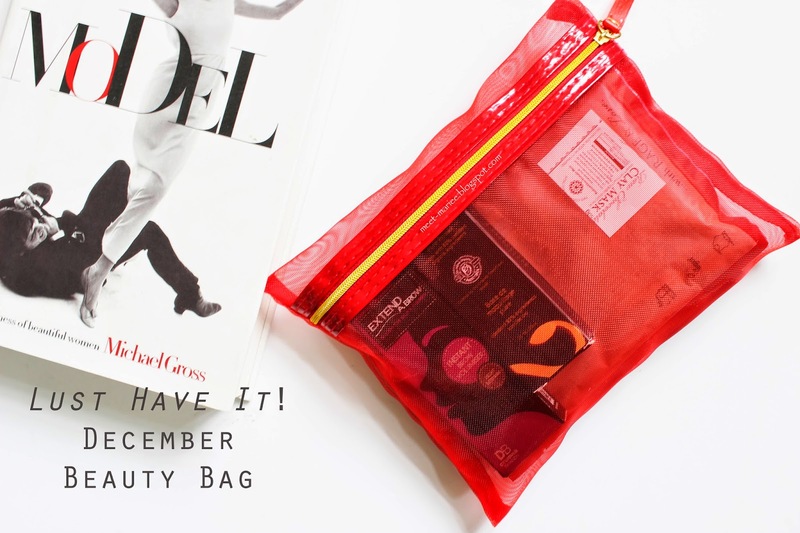 That time of the month where my excitement overflows as I open the December beauty bag from Lust Have It! The package arrived quite late because of the holidays but that does now bother me. Receiving a parcel every month is very satisfying. For those who don't know what Lust Have It! it is a beauty subscription service for $19.95 per month. I have done a series of unboxing where I briefly explained about this monthly subscription service (read here). More details can be found on their website here. If you are looking into signing up for the monthly subscription, click here. 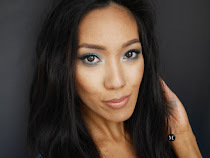 December's beauty bag is all about pampering on summer time, bold brows, and making sure the makeup is in place. INIKA is an organic cosmetic brand which I have heard and seen at my local organic store but never paid any attention to it what so ever. I'm glad that Lust Have It included a deluxe sample size enough for me to try out and have a verdict. It says that it offers protection and hydration prior to makeup application. Now that it is summer, it does not mean that we don't need to moisturize and care for our skin. In fact due to much sweating, our body gets rehydrated and so as our skin, so I think this primer is perfect! Designer Brands Extend A Brow consists silk fibres that clings into the brows to make it look fuller and more defined. This is the first time I've seen straight up fibres for brows. 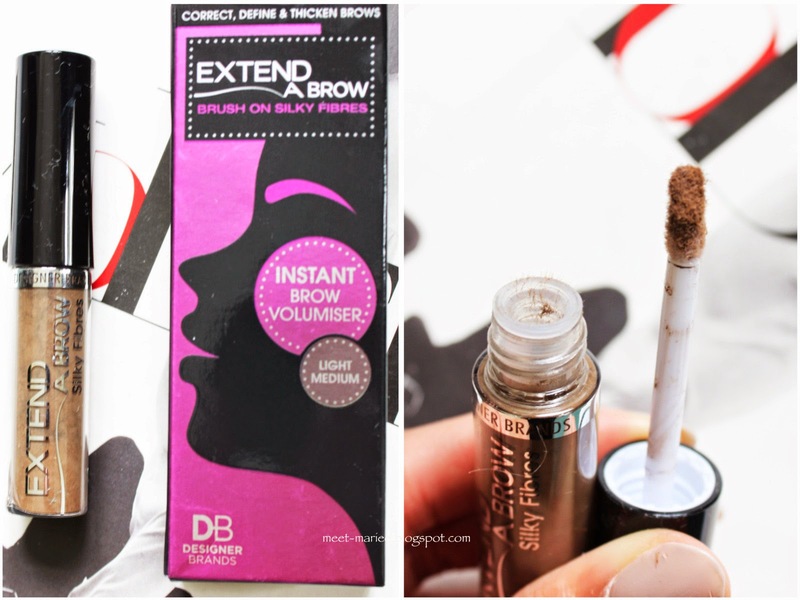 Normally it is built in with the brow gel like the Benefit Brow Gel. I'm not a fan of this product as of first impression. The doe foot applicator is just not the right applicator for brows and I could imagine this not working for girls with thick eyebrows. I find this products quite gimmicky not so much for the purpose. This is going to be interesting on how it will work on my brows as I like mine to be defined. I'm excited for this raw chocolate bath salts! Typically I'm not the biggest fan of taking baths, but some days I do like it as it keeps me relaxed especially after a long day. This bath salts contains raw cacao which is a potent antioxidant that blocks free radicals. Sounds interesting! 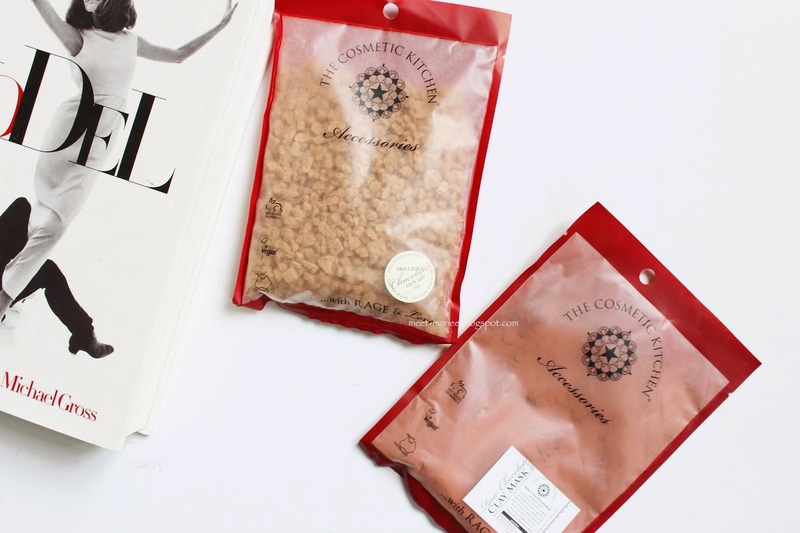 Another product from The Cosmetic Kitchen is their raw chocolate clay mask. I love me some clay mask and could not have enough of it! This mask contains raw cacao and Australian pink clay which I think is great! It says in the instruction that you can mix it with Avocado for a full effect (not sure if avocado oil or real fruit avocado). Clay masks is also great for unclogging pores and good for oily skin. Oh what do you know, another face mask and this one is great because it smooths out wrinkles, nourish and moisturize the skin. As for brightening, it contains Vitamin C which is a all known brightening ingredient. This mask can also reduce skin damage cased by UVA and UVB. 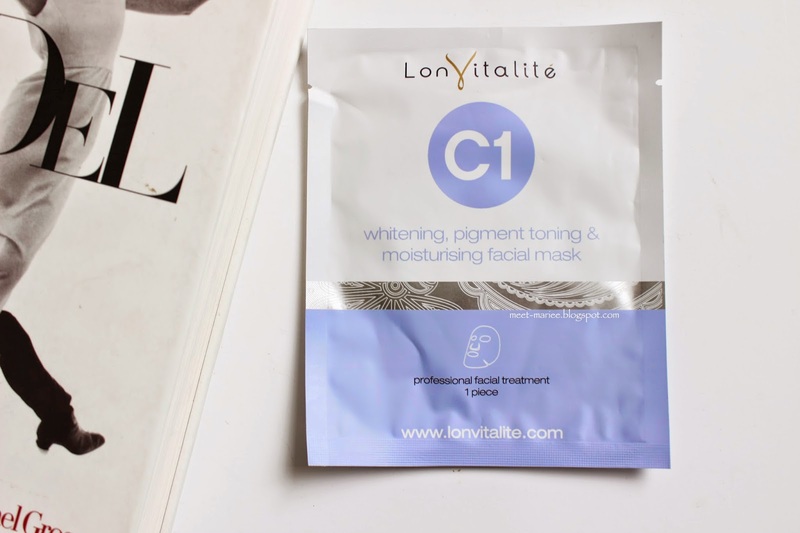 I love the fact that this is a sheet mask which makes it mess free and fuss free! Overall, I'd say that the December beauty bag is average. I still think the November beauty bag is the best mainly because it is half skin care, half makeup. Out of these 5 products, I'm more interested to try the sheet mask and clay mask. Have you got your hands on December's beauty bag yet? ?